While the interior transformation of the former Pavilion into the new Nitehawk Prospect Park continues the old marquee has become the setting for haikus. 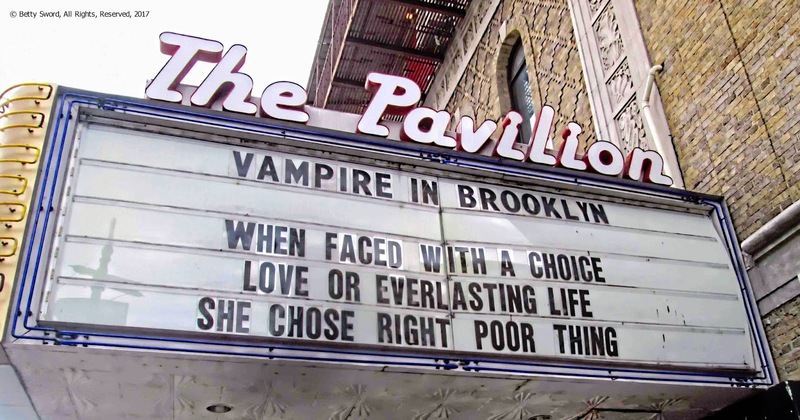 The work of Saint Flashlight, an art installation duo, the poems draw inspiration from movies set in the borough of Brooklyn. Above photos: copyright Betty Sword, all rights reserved.